Ciao! Learn Italian Online with our Experienced Native Tutors through Skype to find friendship and love or to travel and experience the exquisite culture or to teach Italian to your children. Italian is known to be the language “d’amore” (of love) spoken by over 60 million people around the world. The richness of Italian language itself is one of the most convincing reasons for anyone to learn it. Learning Italian is helpful, useful and through its nature lends itself to being fun. You may have several reasons to learn Italian - Maybe you fell in love with the culture of this country, may be you fell in love with an Italian or maybe you want to converse with your Italian grandparents. Whatever your reason to learn Italian, you can discover a whole new world by learning this fascinating language. Learning Italian will improve your prospects of landing a lucrative job in many fields. Italy has a steady economic growth and many employers are looking to hire people with Italian speaking skills. Italy is a popular tourist destination. 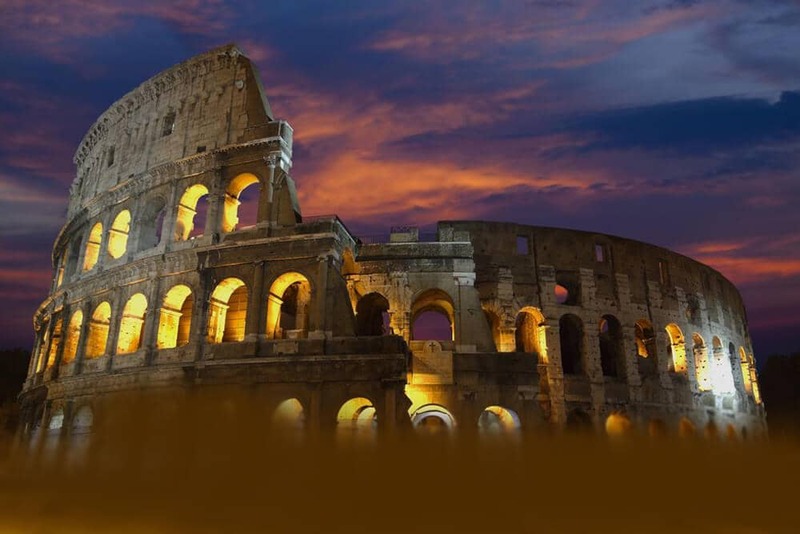 Most of the world’s cultural heritage sites are in Italy. Speaking Italian allows you to meet the local people and get to know this wonderfully rich culture. If you are a fan of Fellini’s, Visconti’s and Pasolini’s movies, then you enjoy all the great movies without the subtitles if you learn Italian! And if you’re an aspiring musician learn Italian since most of the musical terms are in Italian. If you are a food lover and love Italian cuisine then learning Italian will allow you admire the cuisine better. Italian cuisine is a culinary delight for the food lovers. Impress your date by ordering with confidence at an authentic Italian restaurant! And not to forget, Italian is the most romantic language in the world. Learning Italian will definitely improve your prospects of finding love. Do you want to impress the girl or guy next door or land an overseas job or expand your business or want to learn Italian for your children? Here is an effective way to learn Italian Online through Skype with some of our best Native Italian Teachers from around the world. Italy is the world’s fashion hub and knowing Italian will certainly help you to admire and understand the work of renowned Italian designers such as Versace, Gucci, Armani, Benetton, and Prada better. Learning Italian as a second language opens up a world of benefits because today bilingual employees are preferred by many employers around the world. Italian is relatively easy to learn, and will be helpful in learning other Romance languages. Fastest way to speak Italian is to travel to Italy and submerge in the local culture. Find Italian-speaking people in your own neighbourhood and practice your Italian. Watching an Italian language movie is another great way to learn Italian. But above all, the best way to achieve fluency in the language is by total immersion. You can achieve this by joining our online Italian language lessons by native tutors via Skype. Our personalised classes will enable you to learn Italian in a fun and efficient way. Join our online Italian classes today and learn Italian from the best and highly qualified native tutors! You can now take Italian classes one-to-one using Skype with a tutor of your choice. Our Italian lessons are custom, effective, comfortable, and fun. Pick a tutor NOW! Choose anything specific. Whether it is conversational Italian classes, business Italian lessons or just learning how to greet and impress a loved one. We can help you with them all.